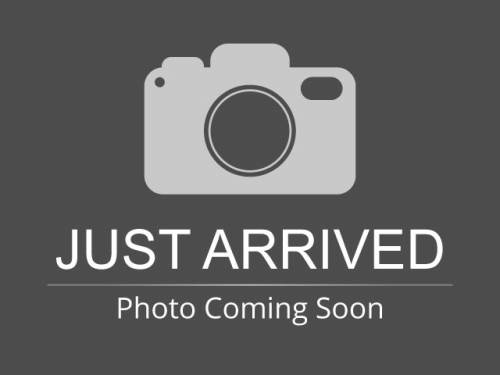 THIS VEHICLE IS LOCATED AT BIRMINGHAM LUXURY MOTORS *SOUTHSIDE* 3501 4TH AVENUE SOUTH BIRMINGHAM, AL 35222 Beautiful in Gun Metallic, our 2016 Nissan Rogue SV comes highly recommended as an optimal blend of versatility, utility, and comfort. Powered by a 2.5 Liter 4 Cylinder that offers 170hp while connected to an advanced Xtronic CVT for amazing passing maneuvers. You'll love the way you feel in our Front Wheel Drive crossover and will no doubt appreciate the impressive efficiency of 32mpg on the highway. The upscale exterior of our Nissan Rogue SV features beautiful proportions and elegant contours that are enhanced by alloy wheels, LED daytime running lights and a rear spoiler. Loaded with thoughtful amenities to fit your lifestyle, the handsome interior is spacious and refined. Check out the advanced drive-assist display, rearview monitor, power windows/locks, dual-zone automatic climate control, an integrated key with remote keyless entry, 40/20/40-split rear seat, and the class-exclusive Divide-N-Hide cargo system. You'll love the AM/FM/CD audio system with a color display, 6 speakers, USB connection port, and illuminated steering wheel mounted controls as you stay connected via Bluetooth and NissanConnect. Our Nissan has achieved exemplary safety ratings thanks to an advanced airbag system, zone-body construction, vehicle dynamic control/traction control and a tire-pressure monitoring system. Getting behind the wheel of this Rogue could be the best decision you've made in a long time! Print this page and call us Now... We Know You Will Enjoy Your Test Drive Towards Ownership! THIS VEHICLE IS LOCATED AT BIRMINGHAM LUXURY MOTORS *SOUTHSIDE* 3501 4TH AVENUE SOUTH BIRMINGHAM, AL 35222 ***NEW TIRES*** Beautiful in Gun Metallic, our 2016 Nissan Rogue SV AWD comes highly recommended as an optimal blend of versatility, utility, and comfort. Powered by a spirited 2.5 Liter 4 Cylinder that offers 170hp connected to an advanced Xtronic CVT. You'll love the way you feel in this sure-footed All Wheel Drive crossover and will no doubt appreciate the impressive efficiency of 32mpg on the highway. The upscale exterior of our Nissan Rogue SV features beautiful proportions and elegant contours that are enhanced by alloy wheels, LED daytime running lights and a rear spoiler. Inside our SV, thoughtful amenities designed to fit your lifestyle, the handsome interior is spacious and refined. Check out the advanced drive-assist display, rearview monitor, power windows/locks, dual-zone automatic climate control, an integrated key with remote keyless entry, 40/20/40-split rear seat, and the class-exclusive Divide-N-Hide cargo system. You'll love the AM/FM/CD audio system with a color display, 6 speakers, USB connection port, and illuminated steering wheel mounted controls as you stay connected via Bluetooth and NissanConnect. Our Nissan Rogue has achieved exemplary safety ratings thanks to an advanced airbag system, zone-body construction, vehicle dynamic control/traction control and a tire-pressure monitoring system. Getting behind the wheel of this Rogue could be the best decision you've made in a long time! Print this page and call us Now... We Know You Will Enjoy Your Test Drive Towards Ownership! 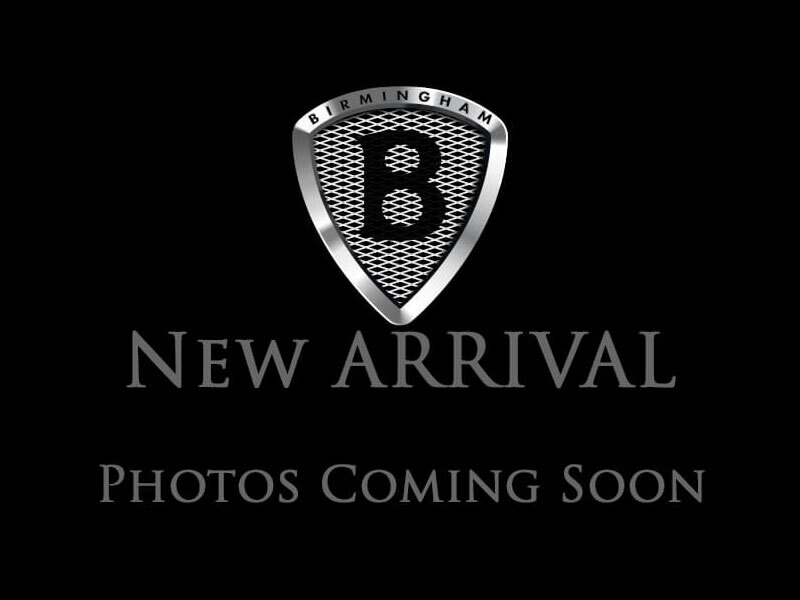 THIS VEHICLE IS LOCATED AT BIRMINGHAM LUXURY MOTORS *SOUTHSIDE* 3501 4TH AVENUE SOUTH BIRMINGHAM, AL 35222 Beautiful in Midnight Jade, our 2016 Nissan Rogue SV AWD comes highly recommended as an optimal blend of versatility, utility, and comfort. Powered by a spirited 2.5 Liter 4 Cylinder that offers 170hp connected to an advanced Xtronic CVT. You'll love the way you feel in this sure-footed All Wheel Drive crossover and will no doubt appreciate the impressive efficiency of 32mpg on the highway. The upscale exterior of our Nissan Rogue SV features beautiful proportions and elegant contours that are enhanced by alloy wheels, LED daytime running lights and a rear spoiler. Inside our SV, thoughtful amenities designed to fit your lifestyle, the handsome interior is spacious and refined. Check out the advanced drive-assist display, rearview monitor, power windows/locks, dual-zone automatic climate control, an integrated key with remote keyless entry, 40/20/40-split rear seat, and the class-exclusive Divide-N-Hide cargo system. You'll love the AM/FM/CD audio system with a color display, 6 speakers, USB connection port, and illuminated steering wheel mounted controls as you stay connected via Bluetooth and NissanConnect. Our Nissan Rogue has achieved exemplary safety ratings thanks to an advanced airbag system, zone-body construction, vehicle dynamic control/traction control and a tire-pressure monitoring system. Getting behind the wheel of this Rogue could be the best decision you've made in a long time! Print this page and call us Now... We Know You Will Enjoy Your Test Drive Towards Ownership! THIS VEHICLE IS LOCATED AT OUR HOOVER LOCATION LOCATED AT 1850 SOUTH PARK DRIVE, HOOVER, AL 35244 Beautiful in Gun Metallic, our 2016 Nissan Rogue SV comes highly recommended as an optimal blend of versatility, utility, and comfort. Powered by a 2.5 Liter 4 Cylinder that offers 170hp while connected to an advanced Xtronic CVT for amazing passing maneuvers. You'll love the way you feel in our Front Wheel Drive crossover and will no doubt appreciate the impressive efficiency of 32mpg on the highway. The upscale exterior of our Nissan Rogue SV features beautiful proportions and elegant contours that are enhanced by alloy wheels, LED daytime running lights and a rear spoiler. Loaded with thoughtful amenities to fit your lifestyle, the handsome interior is spacious and refined. Check out the advanced drive-assist display, rearview monitor, power windows/locks, dual-zone automatic climate control, an integrated key with remote keyless entry, 40/20/40-split rear seat, and the class-exclusive Divide-N-Hide cargo system. You'll love the AM/FM/CD audio system with a color display, 6 speakers, USB connection port, and illuminated steering wheel mounted controls as you stay connected via Bluetooth and NissanConnect. Our Nissan has achieved exemplary safety ratings thanks to an advanced airbag system, zone-body construction, vehicle dynamic control/traction control and a tire-pressure monitoring system. Getting behind the wheel of this Rogue could be the best decision you've made in a long time! Print this page and call us Now... We Know You Will Enjoy Your Test Drive Towards Ownership! THIS VEHICLE IS LOCATED AT OUR HOOVER LOCATION LOCATED AT 1850 SOUTH PARK DRIVE, HOOVER, AL 35244 Beautiful in Magnetic Black, our 2016 Nissan Rogue SV AWD comes highly recommended as an optimal blend of versatility, utility, and comfort. Powered by a spirited 2.5 Liter 4 Cylinder that offers 170hp connected to an advanced Xtronic CVT. You'll love the way you feel in this sure-footed All Wheel Drive crossover and will no doubt appreciate the impressive efficiency of 32mpg on the highway. The upscale exterior of our Nissan Rogue SV features beautiful proportions and elegant contours that are enhanced by alloy wheels, LED daytime running lights and a rear spoiler. Inside our SV, thoughtful amenities designed to fit your lifestyle, the handsome interior is spacious and refined. Check out the advanced drive-assist display, rearview monitor, power windows/locks, dual-zone automatic climate control, an integrated key with remote keyless entry, 40/20/40-split rear seat, and the class-exclusive Divide-N-Hide cargo system. You'll love the AM/FM/CD audio system with a color display, 6 speakers, USB connection port, and illuminated steering wheel mounted controls as you stay connected via Bluetooth and NissanConnect. Our Nissan Rogue has achieved exemplary safety ratings thanks to an advanced airbag system, zone-body construction, vehicle dynamic control/traction control and a tire-pressure monitoring system. Getting behind the wheel of this Rogue could be the best decision you've made in a long time! Print this page and call us Now... We Know You Will Enjoy Your Test Drive Towards Ownership! THIS VEHICLE IS LOCATED AT BIRMINGHAM LUXURY MOTORS *SOUTHSIDE* 3501 4TH AVENUE SOUTH BIRMINGHAM, AL 35222 Our 2018 Nissan Rogue S shown in Magnetic Black provides pure driving satisfaction! Fueled by a 2.5 Liter 4 Cylinder that offers 170hp paired with a seamless CVT that takes you further with its practical and efficient design. Our Front Wheel Drive is ready to take on any obstacle, big or small and keep you going longer thanks to the near 33mpg on the open road. A true stunner that makes you stop and take a look at its elegant body styling, LED daytime running lights and distinct wheels. The cabin of our Rogue S features an innovative seating system that provides versatile seating and enough cargo space designed for every adventure. Discover the new innovative technology like Apple CarPlay, Advanced Drive-Assist Display, available satellite radio, and Bluetooth hands-free all at your fingertips. Your Rogue from Nissan helps keep you assured as you take on your next adventure as it's received excellent safety ratings due in part to its smart construction, advanced airbag system, and vehicle dynamic control with traction control. Built for those who expect excellence, our Rogue S is certainly a spectacular choice. Print this page and call us Now... We Know You Will Enjoy Your Test Drive Towards Ownership! ****NEW TIRES**** THIS VEHICLE IS LOCATED AT OUR HOOVER LOCATION LOCATED AT 1850 SOUTH PARK DRIVE, HOOVER, AL 35244 Meet our amazing 2014 Nissan Rogue S displayed in Gun Metallic. This Front Wheel Drive machine is powered by a 2.5 Liter 4 Cylinder which produces a feisty 170hp. Thanks to the advanced Xtronic CVT and the aerodynamic exterior, you can skip filling up more often as you will reach up to 33mpg on the highway. The striking exterior includes sporty LED daytime running lamps, halogen headlights, rear spoiler and power outside mirrors w/LED turn signal indicators. Take a look at our pictures and you'll find the premium interior is fitted with soft-touch materials, a seamless fit and finish and packed full of features. An advanced Drive-Assist Display, Bluetooth hands-free, Rear-view Monitor, EZ-Flex seating system and the class-exclusive Divide-N-Hide cargo system are a few of the features Rogue provides. An AM/FM/CD audio system features a big color display, four speakers, USB connection port and even streaming audio via Bluetooth technology! Safety is key when creating a best-in-class crossover. Six airbags, zone-body construction, vehicle dynamic control w/traction control and a tire-pressure monitoring system w/individual tire pressure display and the innovative Easy-Fill Tire Alert are just a few of these amenities working behind the scenes to keep you out of harms way. Now would be the time to enjoy the most innovative crossover on the market. The 2014 Rogue by Nissan. What are you waiting for? Print this page and call us Now... We Know You Will Enjoy Your Test Drive Towards Ownership! THIS VEHICLE IS LOCATED AT OUR HOOVER LOCATION LOCATED AT 1850 SOUTH PARK DRIVE, HOOVER, AL 35244 ***NEW TIRES*** Our great looking 2017 Nissan Rogue SV in Magnetic Black is a stunning machine that makes people stop and take a second look! Powered by a strong 2.5 Liter 4 Cylinder that offers 170hp while connected to a seamless CVT that works perfectly to provide swift passing. You'll look forward to each day as this Front Wheel Drive Crossover SUV takes you further with its brilliant design and lets you skip the fuel station more often as it scores near 32mpg on the highway. This Rogue SV exudes innovation and refinement with its aggressive stance, alloy wheels, and distinctive smart auto headlights. Tailored to your needs, the SV cabin features an innovative seating system that provides the ultimate in cargo and passenger versatility. You'll also appreciate Nissan intelligent key with push-button start as well as remote engine start. Just imagine yourself behind the wheel, snug in your supportive heated seat, as you check out the Advanced Drive-Assist Display, listen to your favorite song on available satellite radio, or stay connected via Bluetooth hands-free. Your Rogue helps keep you assured as you take on your next adventure as it has received excellent safety ratings due in part to its smart construction, blind spot warning system, rear cross traffic alert, advanced airbag system, and vehicle dynamic control with traction control. It's practicality, efficiency, and capability wrapped into one stylish package! Built for those who expect excellence, our Nissan Rogue is certainly a smart choice. Print this page and call us Now... We Know You Will Enjoy Your Test Drive Towards Ownership! THIS VEHICLE IS LOCATED AT OUR HOOVER LOCATION LOCATED AT 1850 SOUTH PARK DRIVE, HOOVER, AL 35244 Beautiful in fit, finish, and design, our 2015 Nissan Rogue S in Moonlight White is a smart choice for those seeking versatility, utility, and comfort. Powered by a 2.5 Liter 4 Cylinder offering 170hp while connected to an advanced Xtronic CVT with aerodynamic lines. With this Front Wheel Drive, skip filling up as often with a stunning near 33mpg on the highway. The sleek profile of our Rogue S exudes sporty sophistication and is enhanced by beautiful 17-inch wheels and LED daytime running lights. You'll find the premium S interior is fitted with soft-touch materials and is loaded with amenities to fit your lifestyle. An advanced Drive-Assist Display, Bluetooth hands-free phone system, RearView Monitor, EZ-Flex seating system, and the class-exclusive Divide-N-Hide cargo system are a few of the features Rogue provides. You'll love the AM/FM/CD audio system that features a color display, four speakers, USB connection port and even streaming audio via Bluetooth technology! Drive confidently knowing that Nissan offers six airbags, zone-body construction, vehicle dynamic control/traction control and a tire-pressure monitoring system are working behind the scenes to keep you out of harm's way. Versatile, efficient, safe and stylish... This is the complete package! Print this page and call us Now... We Know You Will Enjoy Your Test Drive Towards Ownership! I would like test drive the 2016 Nissan Rogue, stock# 731228. I would like test drive the 2016 Nissan Rogue, stock# 636134. I would like test drive the 2016 Nissan Rogue, stock# 635072. I would like test drive the 2016 Nissan Rogue, stock# 616042-H. I would like test drive the 2016 Nissan Rogue, stock# 604942-H. I would like test drive the 2018 Nissan Rogue, stock# 710933. I would like test drive the 2017 Nissan Rogue, stock# 386181. I would like test drive the 2014 Nissan Rogue, stock# 860403-H. I would like test drive the 2017 Nissan Rogue, stock# 879875-H. I would like test drive the 2015 Nissan Rogue Select, stock# 669927-H.